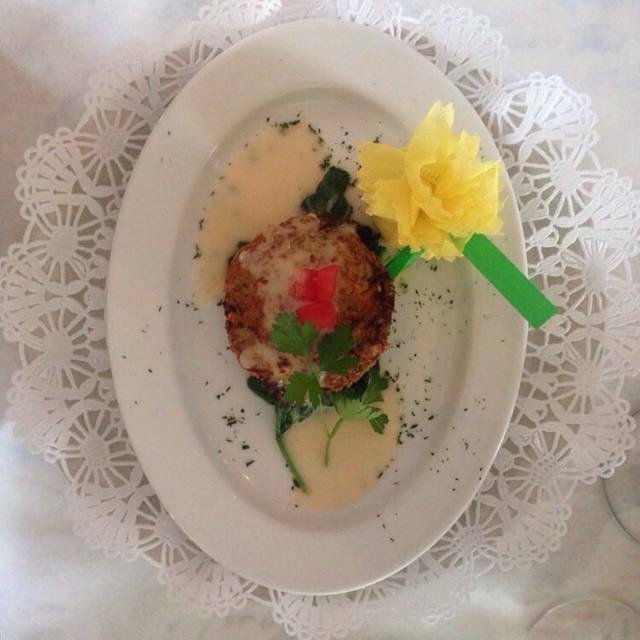 You must make reservations at least 5 minutes in advance of the time at Le Clos of Amelia Island, Inc.. 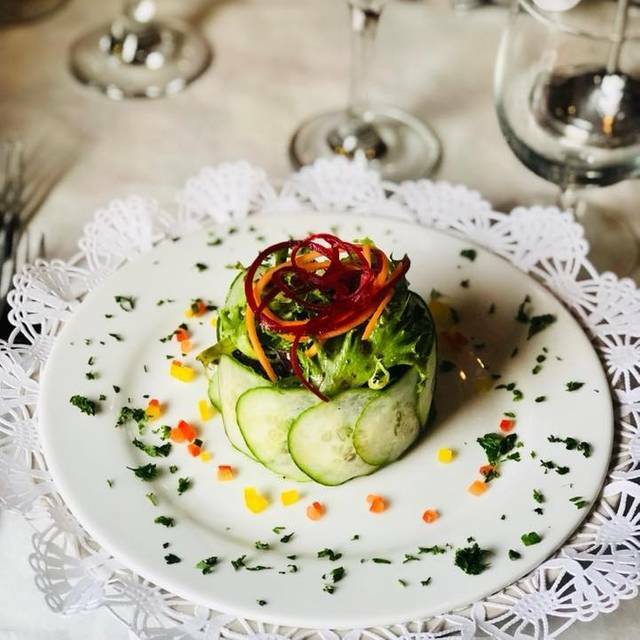 Le Clos is located in Fernandina Beach's historic district across the street from the Hampton Inn & Suites on South Second Street between Centre Street and the Boat House. Le Clos of Amelia Island, Inc. 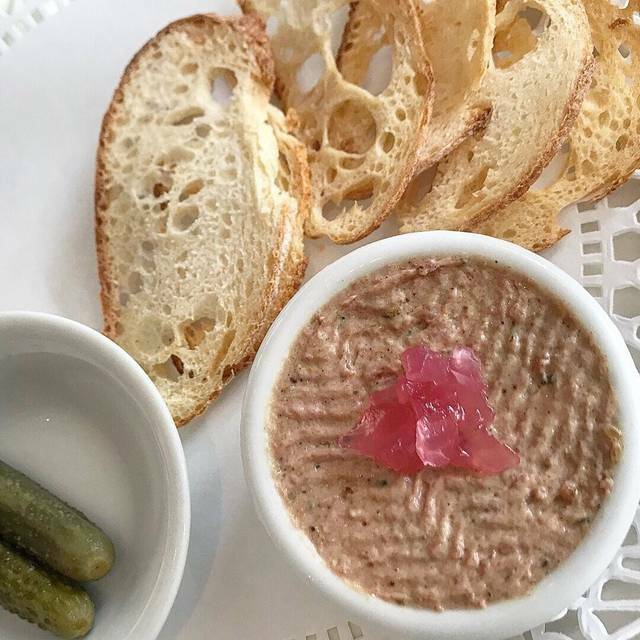 Le Clos on Amelia Island Florida is a country-style French bistro that serves a range of traditional dishes in a casual but elegant atmosphere. The kitchen at Le Clos strives to use only the freshest local ingredients in all its dishes. There is plenty of great wines by the glass as well as beers. 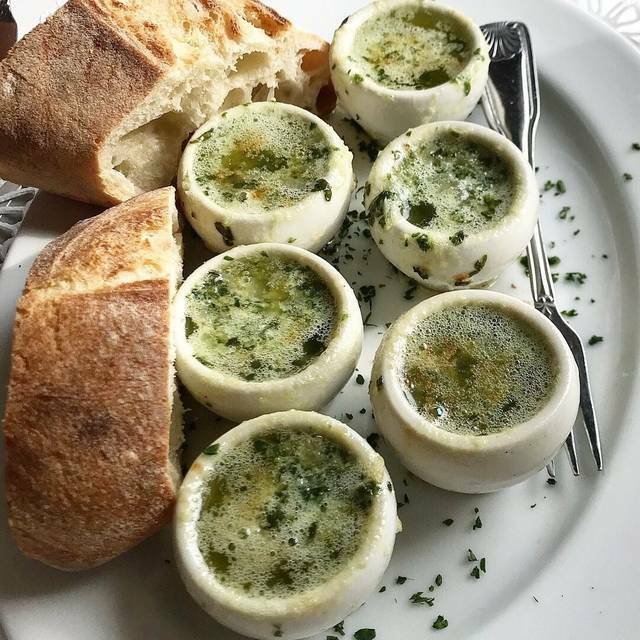 The menu at Le Clos starts with classic French appetizers like escargot, pate, and calamari. 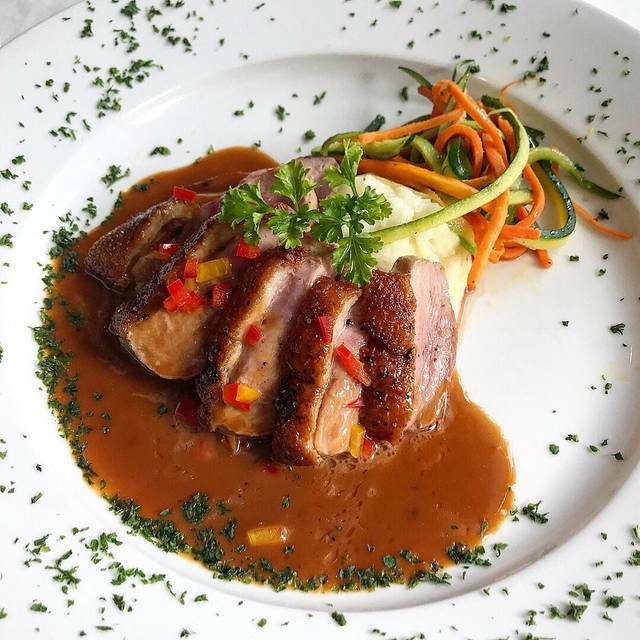 Entr�es include a range of rustic French dishes, such as breast of chicken with citrus beurre blanc and beef and duck meatloaf with a red wine mushroom pan sauce. We have been at Le Clos several times and it has been always our favorite restaurant!! Just the perfect welcoming warm look of a little cottage that you know would offer the same experience inside. Excellent wine service from the head waitress, bus boys there and then instantly out of sight, etc. Food very French but not too busy in presentation. The size of the place is extremely appealing and the tables just far enough apart. NO one was squeezed in. Will definitely return....superb calamari. Wonderful flavorful food in quaint setting but horrible dinner experience as tables so close we heard every word of couple arguing behind us and the loud obnoxious jerk seated next to us who wanted every person in the restaurant to hear him. Service is professional but inpersonable — take your order and get you out as soon as possible. Salad was very good as was pate. Seafood special was very good. Le Clos is one of our favorites. It is always a treat. We have been trying out “new to us” restaurants on the island now that we are empty nesters. Whenever we could get away as a couple when visiting the Island in the past we would come here. We always had an amazing meal. Well, after trying other upscale restaurants on the island we were always a bit disappointed because LeClos has ruined us.....We 😍 love you!! The only downside is it is a bit tight for space and parking when old town is busy can be challenging. Take note there is not a full bar service but the wines are outstanding. The experience was so enjoyable that we went back a second night and were not disappointed. The quality and presentation of our dishes were on par with better restaurants that we're familiar with in the Northeast. We will definitely return on our next trip to Amelia Island. If your looking for a small, very different place to go with great service and food, I would check it out. Small quaint house, lovely decor, but a little cramped. Service excellent, food outstanding. Really enjoyed our time there. Great little place with wonderful food. We eat here every time we are in Fernandina Beach. The food was excellent and the service was great. We will go back again. Food , wine , service , never disappoints! It’s a nice touch that Mitzi and team remember you when you walk in. This is always a must for us when we are on island! Everything is great but a bit noisy. Happy noise, however. Food and service are always wonderful. Always come here as a special treat. The service and food are outstanding. Our meal was delicious and the service was good. What more could you ask for? The food, atmosphere & service were wonderful. Our teenagers enjoyed it as well. Another wonderful meal at Le Clos..one of our all time favorites in Fernandina! Fantastic meal start to finish. Friendly and helpful wait staff. Great food. Good recs on wine. Will definitely be back. We love Le Clos! Delicious food and great place for a date. Food was different and fabulous. Lived atmosphere. Great French cooking in charming old home. We both enjoyed authentic vichyssoise and nicely spiced flounder. Le Clos has never disappointed us! 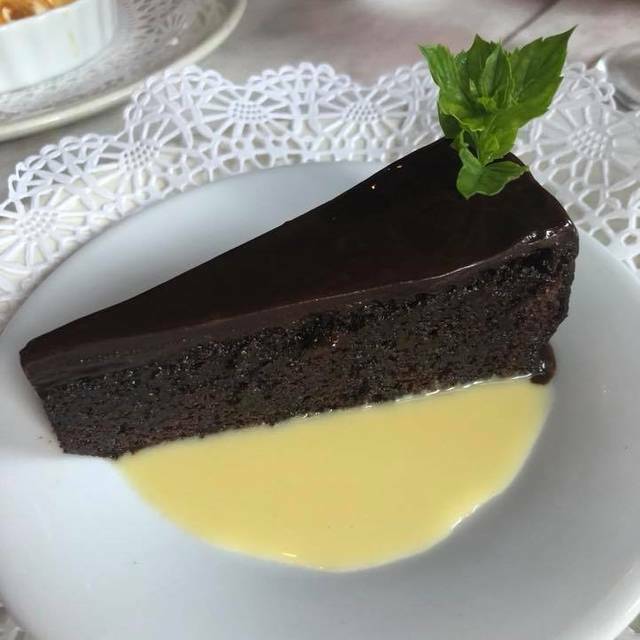 Service is always excellent and food is the best French fair to be found on Amelia Island. It's romantic atmosphere is relaxing and simply charming. One evening, we really want to meet the chef / owner as we've been going there since 2003 and would love to congratulate her personally! Viva Le Clos!! Brava!!! 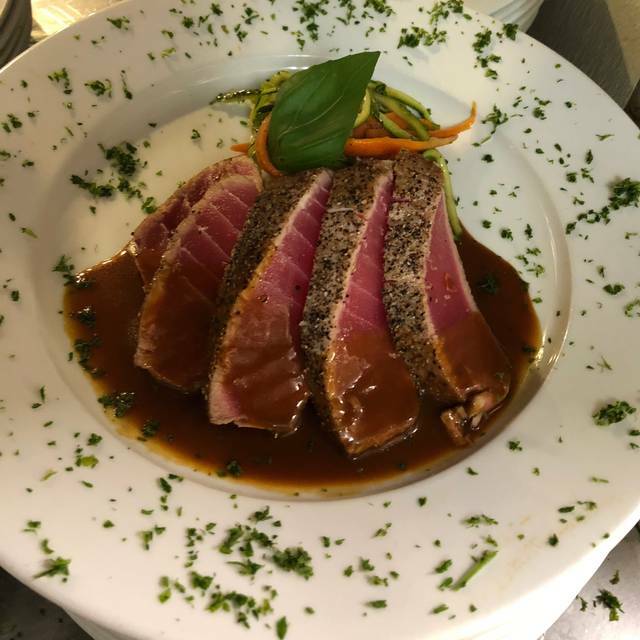 If eve in Fernandina Beach and looking for an enjoyable dinner with your significant other or with friends then look no farther than LeClos. 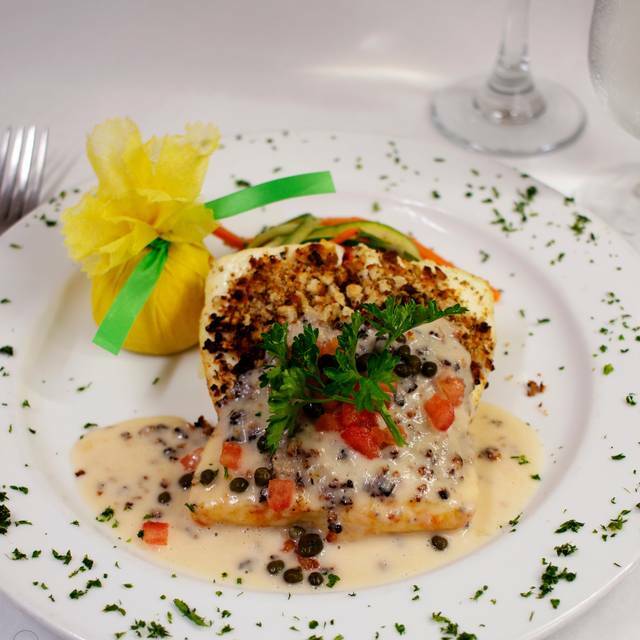 Set in an old quaint house, every choice on the menu is fabulous. The portions are sensible and the wine selection is robust. When full the noise level may be moderate, but this is a place for good company. And good food. 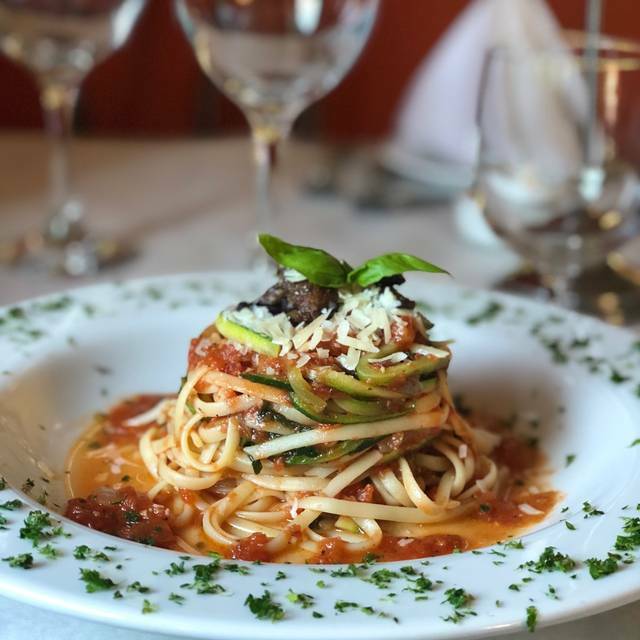 We never miss our opportunity to enjoy a dinner here when visiting Amelia Island. The scallops were cooked to perfection! The duck was also excellent. Well done... excellent food, preparation and service. One complaint..a little noisy...not for a quiet, romantic dinner. Absolutely the best meal in FernandIna Beach area. Couldn't have asked for better quality, taste, and experience. Always a good meal! Our go to for comfortable French cooking. Our choice was referred by a bed and breakfast owner. We had a very nice dinner in a great setting. Thanks Le Clos for a very nice evening. A bit cramped but some might say cozy. Excellent food snd service, generous portions, great value. In adorable house. Always wonderful it tonight it was better than ever! Food was delicious and service was great! Love from NJ visitors! One of our favorite restaurants! We fly from PA several times a year and go here every time. French food done to perfection and without pomp. Fantastic!! See Full Restaurant ListMake a Reservation at Le Clos of Amelia Island, Inc.